Liz Brunello of the American Friends Service Committee and EPIC students share inspirational quotes at their March meeting at Sherman High School, Boone County. 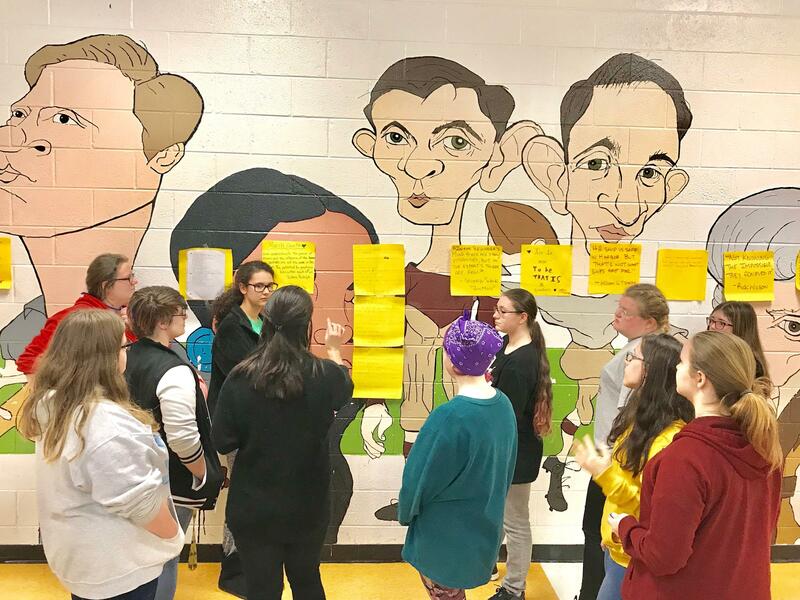 EPIC, an after-school group at Sherman High School in Boone County, stands for “empowered prioritized intelligent chicks” -- and they’ve been busy. Some members helped to organize a march to support striking teachers earlier this month, and one recent weekday, they nibbled on doughnuts and fruit snacks as they made packing lists and finalized travel plans to D.C.
"Hopefully it stops people getting murdered," 16-year-old Haley Kenney said of the March for Our Lives. "Hopefully it signifies some importance [that] students that don’t even know the other students that died are standing up for them. Murder is horrible." EPIC is part of Young West Virginia, a youth-led network of middle-schoolers, teens and college students throughout the state. Ten students from Boone County will make the trek to Washington, along with roughly 30 peers from Kanawha, Ohio, Cabell, Logan, Mingo and Greenbrier counties. 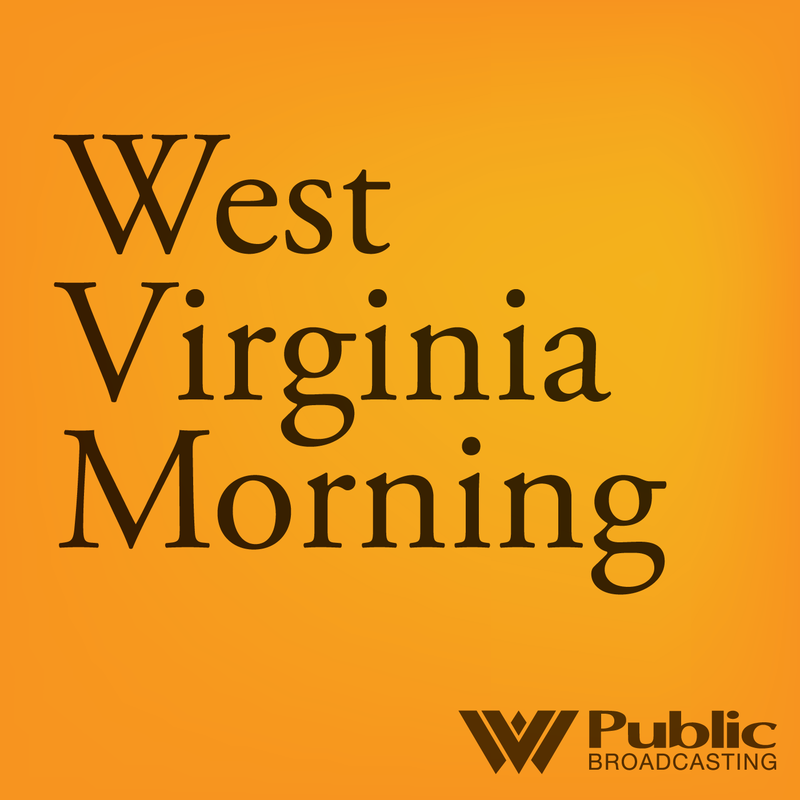 They're part of Young West Virginia's task force aimed at ending mass shootings. The students in EPIC said they generally feel safe at their small school of roughly 400 students, about a half-hour from Charleston. But some, including junior Morgan Smith, 17, were also shaken by what students described as talk of a threat at the school shortly after the Florida shooting. "It seemed like nothing at first, but I kept hearing about it, and I kept hearing about it, and I’m like, OK this isn’t something you can joke about, especially after a shooting happened," she said. "And I got scared. I’ve never been scared to come to school before for anything more than a bully." Freshman Lyeza Kelley, who's tasked with posting D.C. pictures to the group’s Instagram, was hopeful they would bring another important message to the demonstration. "Where we have this reputation of being ignorant or stupid or addicted to drugs, we’re trying to show we’re not that kind of group, and we are actually trying to help with the country, and we’re not just sitting here doing nothing," she said. Some of the students in EPIC have family members who are gun owners and hunters, and some identify as gun owners themselves. Morgan said she can understand arguments on both sides of the gun control debate, but she thinks AR-15-style rifles, like the one used in the Parkland shooting, belong only in the hands of law enforcement or military personnel. "You shouldn’t be able to get an assault rifle, the only purpose of those is to kill a lot of people fast -- kill people fast -- guns like don’t serve a purpose. … But I hunt, and I have guns, and self-defense, handguns, 100 percent -- shouldn’t be in a school or around a school. "If you’re walking around Walmart with a gun on your side, I see nothing wrong with that, it’s for self-defense if something does go wrong ‘cause how crazy of a world we live in." EPIC is part of Appalachia Center for Equality a project of the American Friends Service Committee.